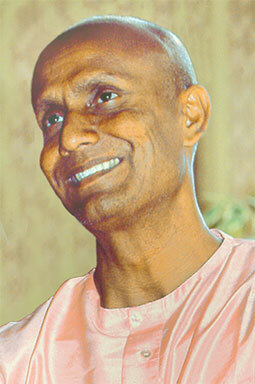 A life-sized bronze statue of World Harmony Run founder Sri Chinmoy (1931-2007) depicted holding a World Harmony Run torch was inaugurated in a colourful ceremony on the evening of November 26, 2009 in Mazatlan, Mexico. The statue is on the edge of the Pacific Ocean ringed by palm trees located adjacent to a busy coastal plaza featuring other statues and lookouts over the ocean. Eventually its environs will be further landscaped with benches and additional information about the late spiritual leader’s contributions in various fields. Other statues by the same sculptor, British artist Kaivalya Torpy, are located in Norway, Bali and the Czech Republic. 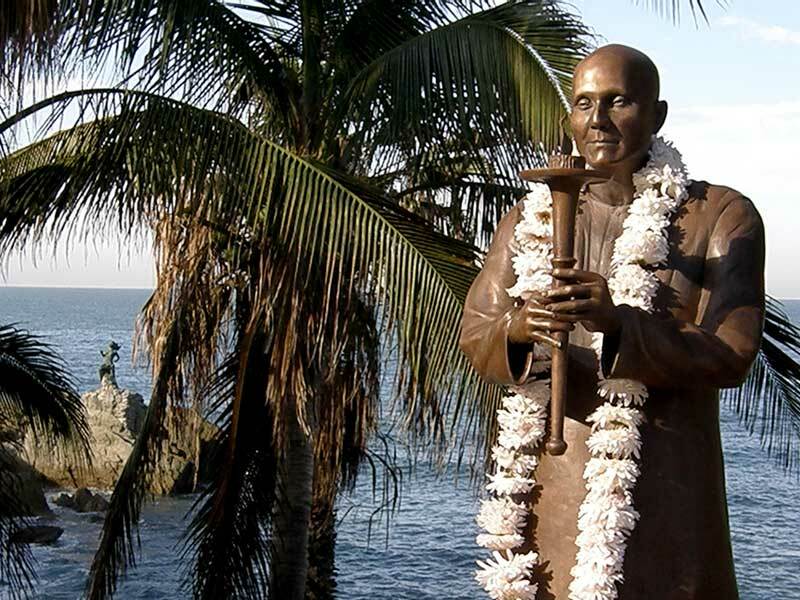 The statue unveiled in Mazatlan is the first in the Americas and the first ever of the spiritual leader holding a torch. Studying acting did n’t really make things much easier. The theatre is a world that also plays with consciousness, but it’s not necessarily the same game I was learning at the time. In a miniature version of that Zen koan I also had to realize that the world I lived in, in the end, was still my world. But there was definitely a period when my inner and outer lives clashed and I was caught in the midst of the collision. That lasted perhaps a few months. Then the two pictures overlapped again as I finally got things sorted out within. Social acceptance has never really been a problem. 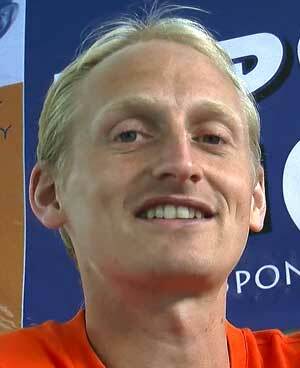 Like Tejvan from England I have mainly experienced sincere interest and respect. I did go through the short, frantic phase where you wonder why everyone else cannot see that beautiful light even when you’re repeatedly telling them about it, but fortunately I quickly mended my ways and learned to be quiet when I had to. Still people came with questions, but by then I had learned to differentiate between mere curiosity or politeness and sincere interest. When the latter was in play, speaking about my inner life became a revelation, a blessing and a joy. In the acting school some of my classmates were quite interested and we had a few spiritual conversations that I still remember with fondness. To the others I was perhaps a bit different, and there were times when the opposites were sharply emphasized, but underneath I always felt loved for who I was. Mountains became mountains again.